Give your craft a touch of English charm with the woodies 'I Love London' stamp. This dainty little stamp is made from 30mm beech wood and 100% natural rubber ensuring durability over time. Featuring a love heart design that will give your cards, labels, packaging or anything else you want to turn your hand to a stylish London inspired motif. 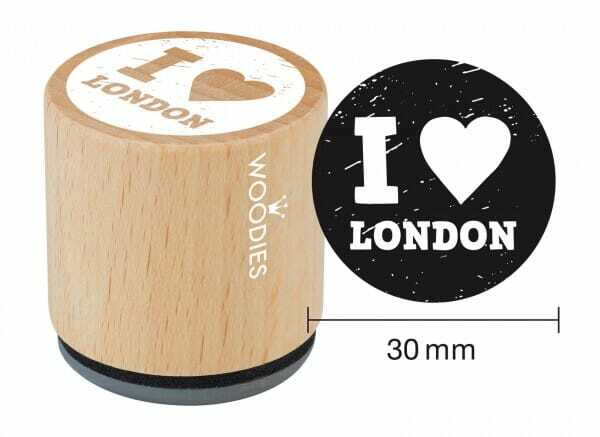 Customer evaluation for "Woodies stamp I love London"